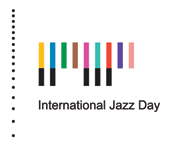 Organised by the United Nations Educational, Scientific and Cultural Organization (UNESCO) and the Thelonious Monk Institute of Jazz, the second annual International Jazz Day was celebrated in Istanbul on 30 April in collaboration with the Republic of Turkey and Istanbul Jazz Festival as the host city partner. In addition to the events taking place all around the city throughout the day and the gala concert at the Hagia Irene Museum featuring artists from across the globe, thousands of events in 196 countries in every region and continent of the world celebrated International Jazz Day. The International Jazz Day Gala Concert, realised with the contributions of the main sponsors Akbank and Garanti Bank as well as Jaeger-LeCoultre and Microsoft, at the Hagia Irene Museum on 30 April was viewed live by millions around the world. The jazz lovers in Istanbul watched the concert live on big screens in Caddebostan and Tepebaşı with the support of Vodafone as the webcast sponsor and Arçelik as the technological equipment sponsor. 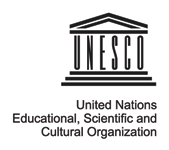 The International Jazz Day Gala Concert started with the opening speeches of UNESCO Goodwill Ambassador Herbie Hancock, UNESCO Director-General Irina Bokova and Turkey’s Minister of Culture and Tourism, Ӧmer Ҫelik. 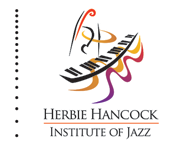 The concert featured pianists Herbie Hancock, John Beasley (Musical Director), George Duke, Robert Glasper, Ramsey Lewis, Keiko Matsui and Eddie Palmieri; vocalists Ruben Blades, Al Jarreau, Milton Nascimento, Dianne Reeves, Esperanza Spalding (who also played bass) and Joss Stone; trumpeters Terence Blanchard, Hugh Masekela and İmer Demirer; bassists James Genus, Marcus Miller and Ben Williams; drummers Terri Lyne Carrington and Vinnie Colaiuta; guitarists Bilal Karaman, John McLaughlin, Lee Ritenour and Joe Louis Walker; saxophonists Dale Barlow, Igor Butman, Branford Marsalis, Wayne Shorter and Liu Yuan; clarinettists Anat Cohen and Hüsnü Şenlendirici; violinist Jean-Luc Ponty; Pedrito Martinez on percussion; tabla master Zakir Hussain; trombonist Alevtina Polyakova; and special guests Martin Luther King III and comedian Cem Yılmaz. Please find detailed information in this press release.